Five tropical Islands make up the Bazaruto Archipelago. This 37000 hectare feat of nature forms part of the Bazaruto National Park and, thanks to early environmental preservation of the site, makes it one of the world’s most exquisite reef diving and overland exploration destinations. A chartered flight or boat trip from Vilanculos will get you to the biggest island of this archipelago, Bazaruto Island. The island became a National Park in 1971 and is now one of the best scuba diving destinations on the African coastline, with the ocean here rich in amazing marine life. There is no shortage of entertainment on Bazaruto, and you might find it hard to decide what will be on the agenda for the day. Divers will have the opportunity to spot the rare and elusive Dugong, see several different species of shark, dolphin and whale, as well as turtles, rays and an abundance of tropical fish. For the water sports enthusiasts, there is a host of activities to keep you in the water including water-skiing, wakeboarding and snorkelling. The near untouched waters provide fishing enthusiasts with the best tag and release game fishing opportunities in the area. 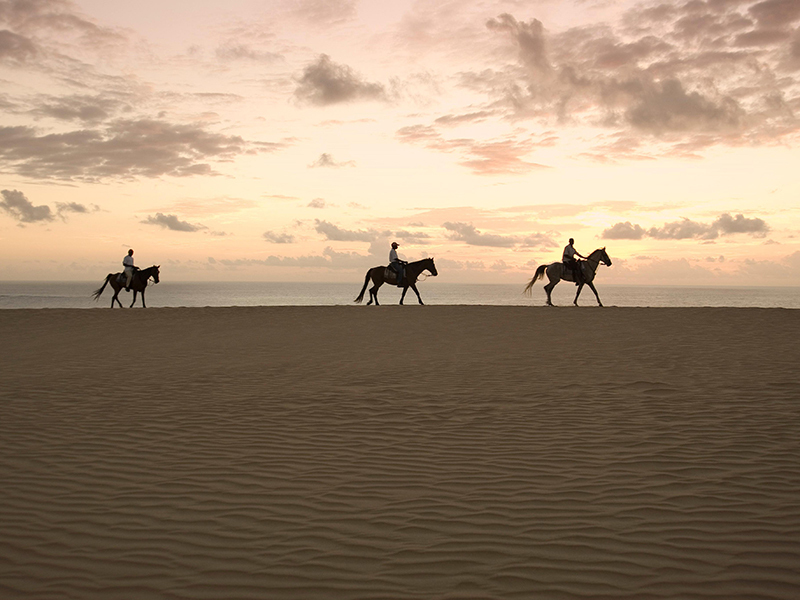 On land there are fun ways to experience the island which include a horseback ride along the beach at the water’s edge, perfect for skilled or beginner riders. A drive around the island will enable you to experience the exciting bird-life with trips to interesting parts of the islands by a well informed guide. Dune boarding is an extremely popular sport for adults and children, and is an exhilarating way to slide down the breathtakingly high sand dunes, prevalent in the area. Due to its size, accommodation on Bazaruto Island offers a variation of choices from five star luxury resorts offering attentive service and pampering, to relaxed stylish lodges or laid-back, cost-effective options. No matter what you choose to do, the charming Mediterranean hospitality is evident throughout the island which just adds to this incredible experience.